SIDE NOTE: Did you know the federal government grows their marijuana in Mississippi? Email Kelly Jacobs with your name, telephone number and county so that she can connect you with the appropriate person at Team Legalize. Awesome Article! 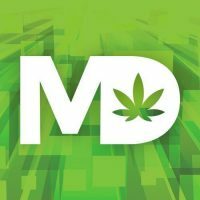 Thank You ,Stephen for a writing such a great article for us in MS. bi48 is the boldest legalization effort in the country,we feel it should be so that MS can lead the way for other states to follow.Our Initiative will Free the Weed in such a way that our Citizens have the choice to choose and use as they see fit.Go Team Legalize! If I had a crystal ball I think I would see Mississippi moving into the 21st century. I would think your crystal ball would be broke. Maybe this year.. our patients still need help.. Wonderful article! Thanks for bringing to light all the hard work that team legalize and Mississippi Alliance for Cannabis has done! We believe this can be done., our state’s schools would greatly benefit from the tax revenue and we would say more money by pardoning non violent cannabis offenders. As a person with multiple sclerosis I would love the chance to have cannabis as a treatment option! This is an great article with everything you need to know about Mississippi’s BI48! I want to thank the writer for this fantastic piece! Thank you for this most excellent article about our efforts to get Proposition 48 on the ballot. We believe the voters have the right and responsibility to decide this issue for our state. If you have any questions, feel free to contact me anytime. My fear with this proposition is that the part about requiring the governor to exercise his pardon power might be an overreach. If I were the governor and I wanted to overturn this proposition, arguing the unconstitutionality of that stipulation would be the keystone of my lawsuit. Pardoning nonviolent drug offenders is a great idea, though, and I hope that this ballot initiative ultimately succeeds. This is a great point, and I was thinking about this yesterday as well. What I did notice in this petition is that organizers have gone to great pains to make it conform to Mississippi’s wack-o alcohol laws, so I suspect there is some precedence as well. I will try to get some clarification. A round of applause to the people of Mississippi for taking the bull by the horns on this issue. Hi!! I have Neropatic pain!! And the medications that the Dr. gave me like Lyrica antes it gave me liver problems!! I am not teacking no medication!!! The pain is to much!!! Can this help me??? This is just a bunch of political nonsense. For one……Why should marijuana be regulated by the same people that regulate alcohol ? There are about 37,000 deaths every year directly attributed to alcohol in the United States, however this does not include motor accidents or violence in whicha alcohol was a factor, so it could easily be quadruple that amount. The number of marijuana-related deaths is zero. That’s right, zero. Not a single person has ever died from using weed. So shouldn’t they first show responsibility for all the alcohol damage ? Chuck, I don’t think canmabis and alcohol should be controlled by the same institution but as long as they legalize it and I have a legal choice to use cannabis without the fear of losing my children, family and freedom because of lies that created outdated law’s. As cannabis is a medicine and until 1937 prescribed by doctors and filled by pharmacies; also from 1854-1941 in the the book on pharmaceutical medicines The United States Pharmacopeia if my spelling is correct, I know that my information is. Cannabis should be legalized, in my opinion! More so than alcohol. There’s way more deaths due to alcohol related incidents from what I’ve seen. I am not a cannabis user (many years ago, I did) but may dabble if it becomes legal. And yes, I will inhale. 🙂 Btw, I’m not against drinking… I have one drink every other month or so. I just believe “weed” became illegal for all the wrong reasons to begin with. That’s my two cents…. it is past time. i have been a user of cannibis for 43 years and it’s time to come out of the closet. I’m tired of trying to be arrested for using pot for my recreational and medical uses. It’s time to rise up and let our voice be heard. Great article about Mississippi ‘s Ballot Initiative 48! A very sincere thank you to the writer. THANK YOU for helping to open closed eyes……..and those that might have ONE eye open!! Great article that has been sent to everyone I know here! Excellent new. Intelligent, compassionate, comprehensive and ironic… the US research farm is there and Marc Emery did time there for selling seeds. Last time I checked I never heard of a liver failing due to weed or weed poisoning being heard…or cirrhosis or hangovers…if it doesn’t do these things but alcohol does isn’t it unfair to human life to sell us the item (alcohol) that is actually physically harming and killing people but not the item (marijuana) that can save lives and financial deficit ? This question is directed to Mississippi leaders…. 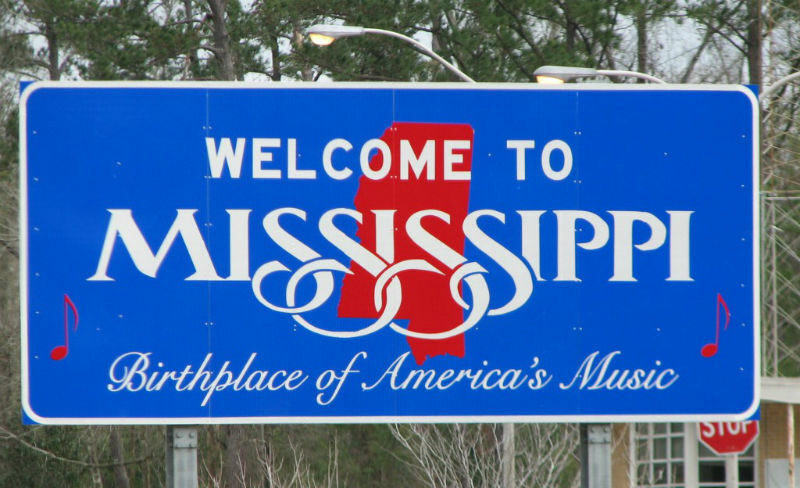 “Thank god for Mississippi.” …an old Alabama saying that was often used derrogatorily, now has a new and enviable ring to the ears of many. Washington state is managing the sales and regulation of cannabis very well and would be an excellent place for Mississippi to look to for education, information and legal issues related to legalizing cannabis. I know first hand that it helps many chronic conditions by providing superior pain relief and does wonders for major depression as well. Some conservatives would have you believe marijuana is a gateway drug, but that simply isn’t true. It’s much safer and more effective for pain than Percocet, OxyContin, and lortab, and it’s natural!